When you are going to transfer large sums of money abroad, it’s essential that you not only get the best money transfer deal but also that you get a great service as some money transfer companies are definitely more reliable than others. What is the best way to transfer large sums of money? Disclosure: This post contains affiliate links. I use Currency Fair personally and only endorse companies that I love. 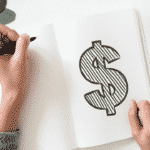 Let’s cut to the chase – check out how many Australian dollars you can get if you transfer money with Currency Fair now, then use this link to get your first free transfers for free >> Check out Currency Fair here and get your first THREE transfers FREE. I tried a number of different money transfer companies before I discovered Currency Fair for sending money from the UK to Australia. I had so many problems – some involved doing the large money transfer over the phone with brokers who made mistakes (one of them tried to set up two money transfers by accident meaning a delay because they ended up having to cancel both and start again). I tried others which felt like a hassle to get our address validated, and others that seemed to refuse to let me log back in after I’d made one online money transfer and then wouldn’t accept my postcode which it said it needed to resend me a new password. So. many. problems. 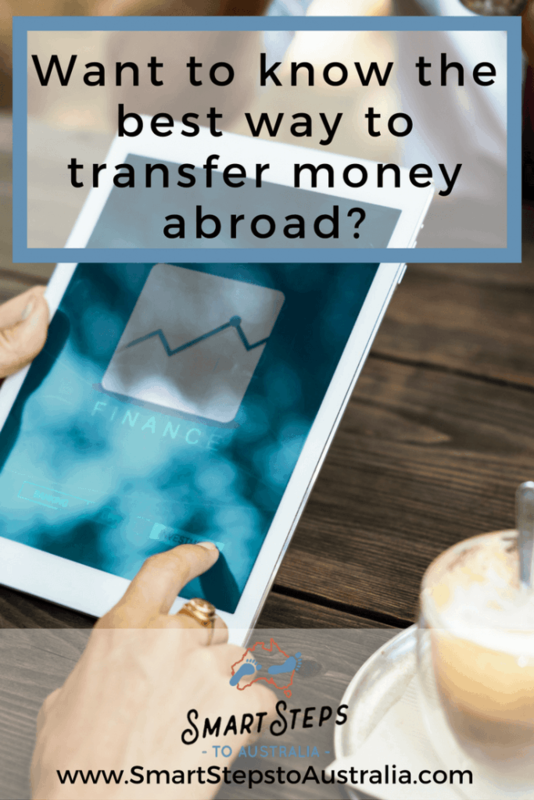 When you are transferring large sums of money abroad, you just want to find a reliable company that won’t mess you around and will let you transfer money easily and quickly. Moving abroad soon? Have you organised your one-way travel insurance yet? If not, take a look at this post. I had lost all faith in currency transfer companies by the time I arrived in Australia. But even though I’d already moved most of our money over by then, I still often get paid into my UK bank account for freelance work so I needed a way to make regular money transfers between the UK and Australia. I heard about Currency Fair, so I decided to give them a try as I’d given up on all of the previous companies I’d tried. The whole process was just so easy! I haven’t been back to any of the other companies since. Your money is moved online in just a few clicks. No messing around phoning brokers or haggling rates, just a simple online money transfer system that walks you through the process and lets you transfer funds to Australia and the UK easily and quickly. Read this independent Currency Fair review on The Currency Shop. It outlines the pros and cons of moving large sums of money with Currency Fair (please note: for very high sums of money, please check rates and do your homework first to make sure this is the best option for you and your circumstances – I am not a financial advisor and you will need to check the rates yourself for your large money transfers abroad to make sure you are getting the best deal for your money transfer). Check out Currency Fair here and get your first THREE transfers FREE. Travelling soon? Check out this post about the best travel rucksacks on the market. 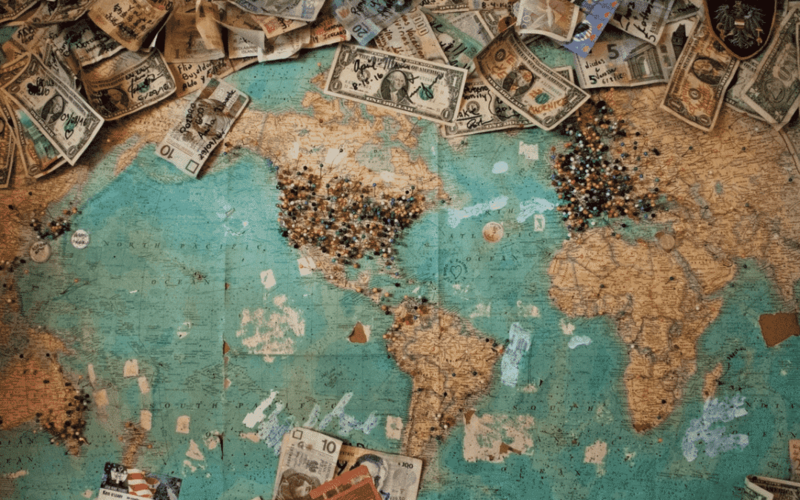 Read on to find out the best way to send large amounts of money using Currency Fair in this step-by-step guide to moving your money abroad. You open an account with Currency Fair (the YouTube video below that walks you through it). Remember to use this link to get your first THREE transfers for free. You set up your bank accounts in each country in the Currency Fair system. You only need to do this once and then they are stored there for future transfers. So if you were moving from the UK to Australia and wanted to send money to Australia, you would add your bank account in Australia and your bank account in the UK to the Currency Fair system. You go through the process of setting up the money transfer in your Currency Fair Account. This is where you say you want to ‘send in’ your ££££ from your UK account. I usually set it up to automatically ‘send out’ the money over to my Australian bank account (as an ‘auto-transaction’). When you’ve followed the instructions, you are given Currency Fair bank account details and a reference code. Then you go online into your own UK online banking and send your UK funds to the Currency Fair account numbers you’ve been given (as if you were paying someone from your bank account), making sure you use the reference code. If you set it up to be automatic, once the funds hit your Currency Fair account (which is usually pretty quick, from my experience) they are automatically transferred off to your Australian bank account without you needing to do any more. Voila – you have moved the money into your Australian bank account. No phone calls. No messing. No problems. No paying hefty bank fees. Here is a step-by-step guide to getting started with Currency Fair for sending money from the UK to Australia or for transferring money from Australia to the UK. It is super easy to get started and open your account, whether your money transfers to Australia or the UK are large or small. Remember to sign up with this link to get your three free transfers and then follow along with the video. Now that you’ve opened your Currency Fair account, you are ready to make your money transfer to move your money overseas. If you’re sending money from the UK to Australia or you’re transferring money from Australia to the UK, then watch this video which walks you through all of the steps and shows you how to transfer large sums of money abroad. I’ve been in Australia for over three years now and I think it’s the best way to transfer money from Australia to the UK – I use it all the time to transfer money between the two countries. I personally find it the cheapest way to send money to Australia from the UK as the transfer fees are so tiny. It means that even if relatives give us £50 for birthday money in our UK bank account, it doesn’t cost much to bring it over to Australia so it works just as well for transferring large amounts of money or moving small amounts of money abroad. Want to get your first THREE money transfers for free with Currency Fair? I know when you migrate to Australia you will usually need to do a large money transfer because you might have sold your house or you want to move your savings abroad. Please don’t waste your money by going through your bank. Banks are not the cheapest way to send money to Australia (you should also tell your friends and relatives this in case they are tempted to try to send you birthday or Christmas money when you’ve moved over). Keen to get started with transferring large sums of money to Australia? If you want to find the cheapest way to send money abroad, then if you use my link you will get your first THREE money transfers for FREE. But if I’m being totally honest and transparent, many of the companies out there will offer you a free first transfer if you are looking to transfer large amounts of money abroad. What sets Currency Fair apart, is that they give you a great rate without needing to haggle, and it is so easy, seamless and fast. I hope you’ve found this post about transferring large amounts of money overseas helpful. Be sure to introduce your family to Currency Fair so they can understand how CurrencyFair works and they can learn the best way to transfer money internationally without using their bank. Sign up with Currency Fair here and check out their great rates. 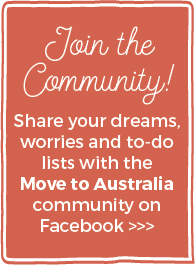 Is your move to Australia imminent? 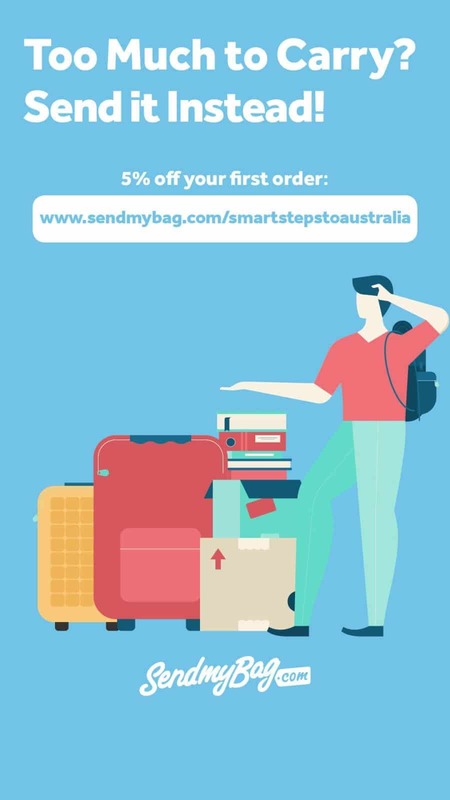 If so you might like to read this post about finding short-term accommodation in Australia or this one about shipping your belongings abroad. I am an affiliate for Currency Fair, which means I will earn a commission if you make an international money transfer using my links. This all helps fund the running of this website. All opinions are my own and they really are the only currency transfer company that I use. You can read more about them and why I have partnered with them on my Resources page. « PTE vs IELTS for Australian immigration: Which English language test is easier? hi, thanks for great post. one question though, what about tax? lets say i am migrating to australia and i have $100K to bring with me, will i get taxed on that money in Australila? thanks for your reply in advance. Hi Muhammad, I’m not a financial advisor so am not legally able to give you advice on finance and tax but here is a page that might help you: https://www.ato.gov.au/individuals/international-tax-for-individuals/coming-to-australia/moving-to-australia-permanently/ The ATO staff are really helpful over the phone too. I highly recommend finding a tax agent in Australia so you have somewhere to direct any questions during the process of moving over and beyond as you will need to do an annual tax return here anyway. One more link that you might find helpful is the ATO community forum – https://community.ato.gov.au/t5/Tax/ct-p/Tax. You can search for specific information or post your own question.